Professor of Spirituality and Marriage and Family, Professor of Christian Ministry and Leadership, Director of Talbot’s Spiritual Formation Program, Spiritual Director, Associate Director of The Center for Spiritual Renewal, Founder of Hilltop Renewal Center, B.A., California State University, Fullerton, M.A., Talbot School of Theology, M.A. in Theology, Fuller Theological Seminary, Ph.D. in Marital and Family Therapy, Fuller Theological Seminary, School of Psychology. Judy TenElshof’s goal as Director of Talbot’s Spiritual Formation program is to have all Talbot students understand the nature, process and practices of spiritual growth and to have them experience deeper intimacy with God and others. Her expertise as a teacher and conference speaker is in helping individuals and families grow relationally, morally and spiritually. Judy has established and directed counseling centers in churches and Christian schools and is founder of Hilltop Renewal Center for Christian leaders.She has co-edited Women and Men in Ministry, authored several journal articles, along with chapters in Foundations of Ministry: An Introduction to Christian Education for a New Generation; Short-Term Missions Boom: The Guide to International and Domestic Involvement; and the Christian Education Dictionary. 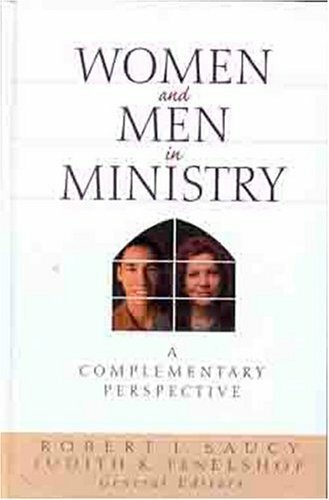 “Women and Men in Ministry.” Editors: Dr. Robert Saucy and Dr. Judy Ten Elshof. Moody Press, 2001. “Family Life Education.” Introduction to Christian Education. Anthony, Michael, Editor. Baker Publishers, 2001. “Discipline”, “Family Morality”, “Models of Parenting”, “Extended Family”. Christian Education Dictionary Julie Gorman and Michael J. Anthony, Editors. Zondervan Publishing, 2000. “Selecting and Screening Volunteers for Service” Short-Term Missions Boom: The Guide to International and Domestic Involvement. Michael J. Anthony, Editor. Baker, 1994. “Ministries to Families in the Local Church” and “Counseling Ministry in the Church” Foundations of Ministry, An Introduction to Christian Education for a New Generation. Michael J. Anthony, Editor. Victor Books, 1992. “Spiritual Formation: How Can Christian Education be Intentional?” Christian Education Journal. Fall 2000, pp.111-122. “The Relationship Between Adult Attachment and Spiritual Maturity of Seminary Students.” The Journal of Psychology and Theology, Summer 2000. “Encouraging the Character Formation of Future Christian Leaders” Journal of the Evangelical Theological Society, March 1999.